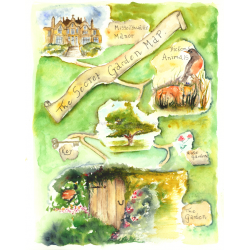 The inspiration for this illustration print came from my love of maps and treasure maps, and my favourite books growing up! 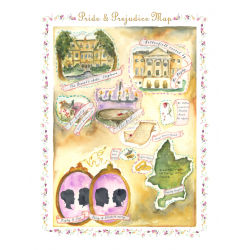 I've loved Pride and Prejudice since seeing the BBC version at age 11. I then went on to read the book and fell in love with that also. There were so many amazing key plot points of the book, but when trying to come up with which to use, reality set in and I realized that I would just have to select a few. I loved coming up with illustrations of key moments within the book to use for my final piece! I hope you enjoy it too! 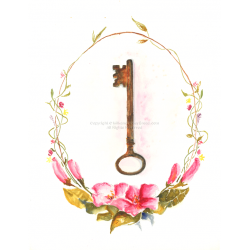 The Secret Garden was a special film for me. It was one of my favourites growing up. The excitement of finding something lost and forgotten , that leads you on an almost magical adventure! It was always something that I hoped for. That, and finding a magical doorway through the closet!